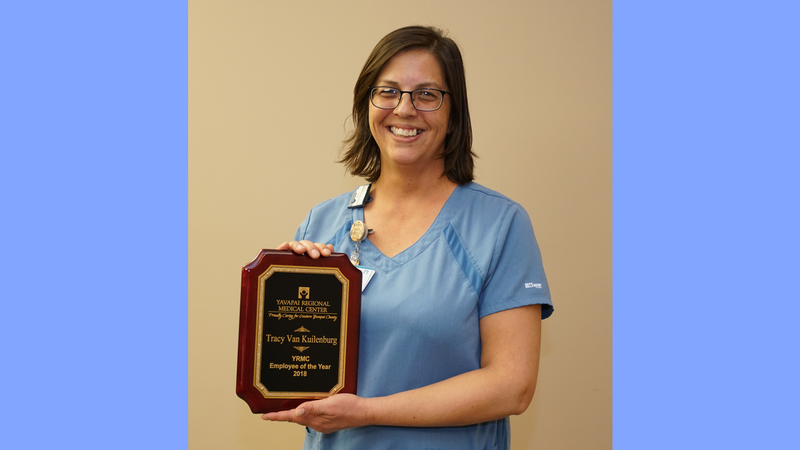 Yavapai Regional Medical Center (YRMC) is proud to announce that Tracy Van Kuilenburg has been named YRMC’s Employee of the Year for 2018. Tracy is a Computed Tomography Technologist and works in the Imaging Department at Yavapai Regional Medical Center’s East Campus in Prescott Valley. She was named Employee of the Month for August. The award is particularly meaningful because she was named YRMC’s top employee by her peers. Other 2018 Employee of the Month recipients include: John Huckno from Sterile Processing, Christine Galicki from the Infusion Center, Luz Berman from PACU, Joy Heinemann from PhysicianCare Cardiology, Jared Schmiege from the Clinical Laboratory, Pam Fort from Education, Alex Barringer from Environmental Services, Daisy Ruiz Carreno from Medical/Surgical/Telemetry, Janice Disbrow from Medical Staff Services and Nicole Lee from Imaging. Tracy’s dedication to her patients and professional approach to her work reflect YRMC’s Vision, which is to create a Total Healing Environment guided by Values that include Integrity, Respect, Quality, Commitment and Accountability. You can learn more about Yavapai Regional Medical Center by visiting yrmc.org or yrmchealthconnect.org. YRMC is also on Facebook, YouTube and Twitter. I read this article and found it very interesting, thought it might be something for you. 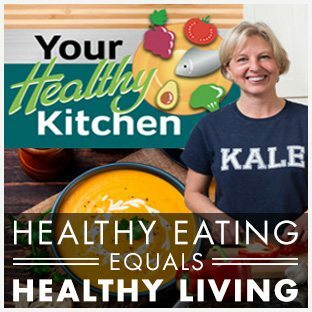 The article is called Tracy Van Kuilenburg Named YRMC’s 2018 Employee of the Year and is located at https://yrmchealthconnect.org/tracy-van-kuilenburg-named-yrmcs-2018-employee-of-the-year/.